Live in an inviting new residence designed for modern living. Light filled homes rising above Chicago’s best shopping, cuisine and culture. Designed by Brininstool + Lynch, Architects. Created with precision and attention to detail. Located just off the Mag Mile and near the lake. Learn how a thoughtful approach to design and architecture makes a difference. 550 St. Clair is your retreat above the best Chicago has to offer: cuisine, culture, shopping, spas and more. 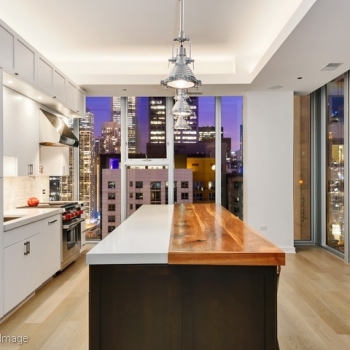 Only a half block from the Mag Mile and three blocks to the lakefront. Spend less time commuting and more time savoring your new neighborhood. An architecturally diverse and historic part of Chicago, Streeterville is experiencing another renaissance as a new generation of fashionable businesses and residences are moving in. Take advantage of the opportunity to live where a world of options is right outside your windows. 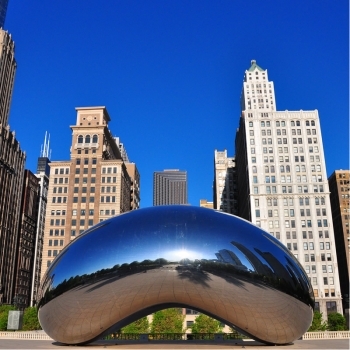 Situated at the epicenter of Chicago’s culture, you can experience museums, exquisite cuisine, the gallery district, theater row—all by traveling no more than a few minutes on foot or by cab. Restaurants, shops and cultural attractions fill Streeterville. A thoughtful approach to design. Home is personal. 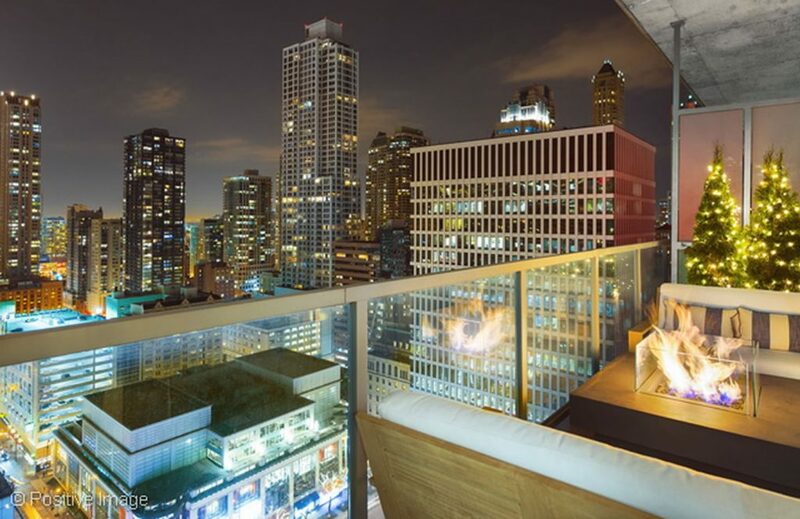 It should be as individual as your life, set in a truly urban landscape rising above the Chicago skyline. You want it to be a sanctuary, where you can engage in city life or retreat when you need to unwind. In a neighborhood where the city’s culture is within your reach. Where you can entertain guests or maintain your life. Where less can be more. From the inside out, 550 St. Clair has been designed for modern living. A variety of airy, light filled homes are available now. Surround yourself with art. Art is defined as the use of skill and imagination to create something new. In 550 St. Clair, Brininstool + Lynch has made every design decision with care. The result is a functional work of art that is both purposeful and beautiful. You can see it in how the exterior glass of the building shimmers with light. How the lobby radiates an aura of calm. How the units are open and sun-filled, yet private. How the deliberate selection of finishes and appliances perfectly complements the interior. Find your sanctuary. We can’t separate life from architecture. It affects where you eat, sleep, entertain or relax. It becomes your sanctuary and most personal space that reflects who you truly are. 550 St. Clair has been designed from the inside out with the flexibility to adapt to modern life. Flowing floorplans allow you to designate living zones that fit your needs: create a bedroom, office, study or media room as you wish. Built in architectural elements transform these spaces, offering you privacy or openness as needed.